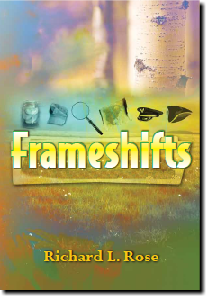 START HERE: Welcome to Frameshifts! Preparing to perform at the birthday of a dear friend has led me to think that my life has been made of performances. When I write or compose, I want to compress into performances such understandings, favorite words, beloved faces, and lifelong talks with the vocal dead as have meant the most to me. I move from expressions of cadence to words, from words to music, from music to narrative line, and then, going back over everything, from narrative to form and production values. I seem to sink more securely into what I’m suited to do as the expression becomes complete. And of course, what one is suited to do is a calling. Teaching was once my calling. It required daily preparation—a script, a role, and props. Improvisation was always needed because the audience was always changing. I found that I learned more through performance than I had through academic training. This did not come as a surprise because whenever I’d had difficulty learning something, I could learn it by portraying and performing it to myself. (This was my key to organic chemistry.) But I did not understand what I was doing until I became a teacher. One of the first books I read at that time was Stanislavki’s An Actor Prepares, a text familiar to young actors. For me, it was about my own way of learning and producing. Even as early as 1948, I sang and danced to “I’m looking over a four-leaf clover” for the customers gathered in a diner from a cold, snowy night in Rome, New York. For me, performance, learning, and production are the same process. Call it rehearsal—or call it worship. It is through performance that one shows what matters, whatever the calling may be. The sustained attention, creative engagement, and compassion in this conduct result in invention, understanding, artistic expressions of all kinds, and mutually compassionate relationships. Again, I am reminded of my generous friend and of my father, whose life was a sustained performance of generosity and devotion. The moderating, modulating, and transformative processes of rehearsal are exemplified by the give-and-take of performers in a small ensemble. Rehearsal requires the acceptance of limitations and an understanding of context. Whether the performers are other people or the agents of one’s own mind, the role of the conductor is the same. She listens to the whole sound. If I try to evaluate feelings or other thoughts without a conductor, moderation is not possible. Instead, I will accept only my own experience as valid. I will exaggerate my own perspective and preferences. I will forget that knowledge is provisional and, whether between people, fields, or cultures, not easily translated. Permit the conductor to work and transformations can begin. Different voicings and thematic emphases can emerge. New patterns of understanding can appear. Then the search is on again for ways to bind hearts to human fundamentals. I’d have to say that I prefer the path of creative engagement and expression to the path of groupthink, self-promotion, and self-confirming assertions, by the way. The way of conducted rehearsals and moderation differs from reducing other views to a version of our own. Just as an actor allows herself to feel and become the person she portrays—just as one who tries to help a learner or another person must do so in a heart-felt, non-manipulative way—so also, one who seeks to moderate the dialogue between different concepts, political views, systems, and cultures must work to grasp and understand all of the voices in the ensemble. This kind of conducting, whether external or internal, begins with an acceptance of limitations. This entry was posted in Uncategorized by frameshifts. Bookmark the permalink.